My first skin for Rainmeter. A simple and small player loosely based off of Google's Material design. Contains two different variants, Dark and Light, each with 3 different versions, the full player, the control bar only, and the album art only. Also contains a customisable variables file which can be accessed by right-clicking on any of the skins and clicking 'Open variables file'. The default player that the skin will control is foobar. If people wish for me to make different colour variant's or make the player bigger, I will. Released under a CC BY-NC-SA 3.0 License. If you edit this skin and comply with the above license, I'd love to see what you did with it. -Left clicking the album art on the skin now brings up the player that you have assigned to it. 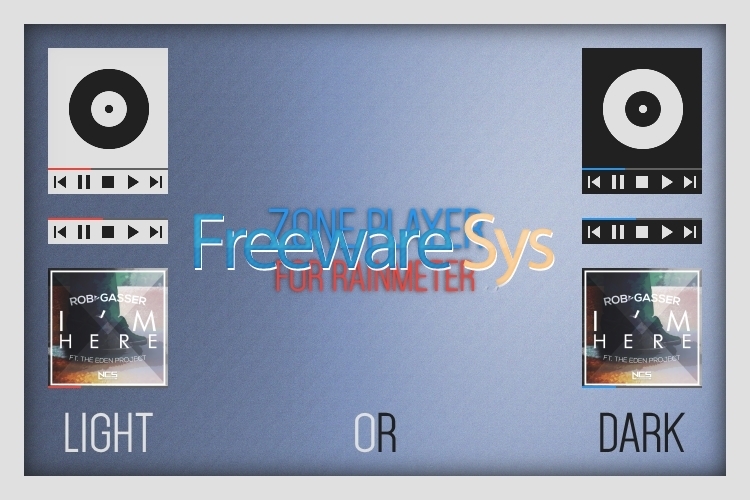 0 on: "Zone Player for Rainmeter"